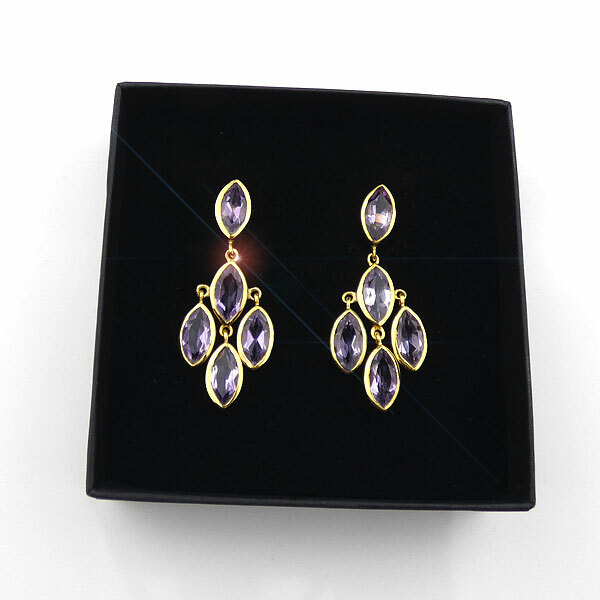 These are attractive 18k Gold Plated Brass Earrings with five lozenge shaped purple Amethysts, one attached to the post of the earring, while the other 4 Amethysts move independently, reflecting the light. The setting of the earring is: Bezel, The earring type is: Post, Push-Back. The width of each earring is 18mm, the height: 48mm. 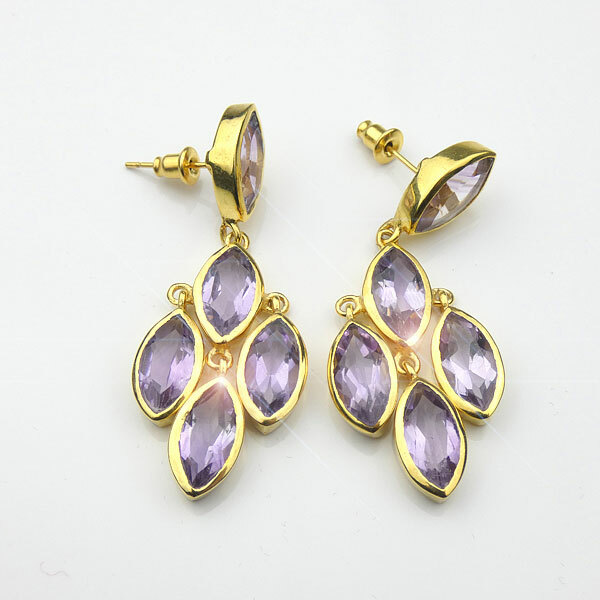 The same style of earring is available with Rubies from KIENA - Item Code: 179-1406-113C. 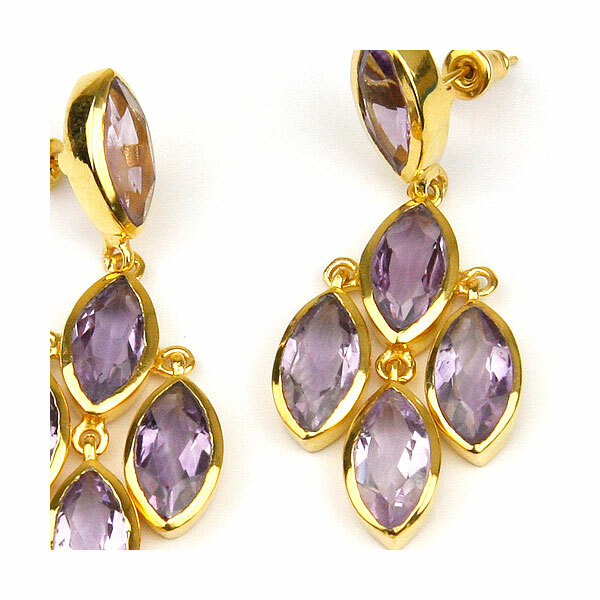 For those of you who like a longer drop amethyst earring item: 179-1406-168A of the KIENA collection has 6 pear shaped amethysts and is 62mm long.